75 years after the Lisbon Maru was torpedoed by an American submarine, which mistook her for a Japanese troop carrier, the wreck has apparently been found, 16 fathoms (98 feet) beneath the East China Sea. 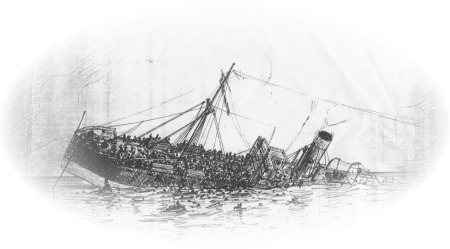 The “hell ship”, as such vessels were known, was carrying 1,800 British and Canadian POWs and as she went down, Japanese guards battened down the hatches to prevent them escaping. Tragically, more than 820 died. It was one of the most infamous acts of the war and closely mirrors the fate of the Lady Monteith in my novel, DARK OCEAN. 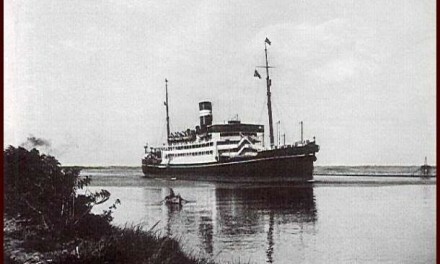 I used the Lisbon Maru as a model for much of the Lady Monteith’s story. PreviousSea of Gold in the ascendant!